Organized at Lafayette, Ind. Moved to Indianapolis, Ind.. August 11, and there mustered in August 16, 1862. Left State for Lebanon, Ky., August 17. Attached to 40th Brigade, 12th Division, Army of the Ohio, to November, 1862. 2nd Brigade, 5th Division, Center 14th Army Corps, Army of the Cumberland, to January, 1863. 2nd Brigade, 5th Division, 14th Army Corps, to June, 1863. 1st Brigade, 4th Division, 14th Army Corps, to October, 1863. Wilder's Mounted Infantry Brigade, Cavalry Corps, Army of the Cumberland, to December, 1863. 3rd Brigade, 2nd Cavalry Division, Army of the Cumberland, to January, 1864. 3rd Brigade, Grierson's Cavalry Division, 16th Army Corps, Army of the Tennessee, to March, 1864. 3rd Brigade, 2nd Cavalry Division. Army of the Cumberland, to October, 1864. 1st Brigade, 2nd Division, Wilson's Cavalry Corps, Military Division Mississippi, to June, 1865. SERVICE.--Duty at Lebanon Junction, Ky., September 6-22, 1862. Moved to Louisville September 22, and to Elizabethtown, West Point, September 30-October 5. Pursuit of Bragg and operations against Morgan October 6-20. March to Bowling Green, Ky., October 26-November 3, thence to Scottsboro November 10. To Gallatin November 26 and to Castillian Springs November 28. To Bledsoe Creek December 14. Operations against Morgan December 22, 1862-January 2, 1863. Moved to Cave City, thence to Murfreesboro, Tenn., January 2-8, 1863, and duty there until June. Scout to Woodbury March 3-8. Regiment mounted March 17. Expedition to Carthage, Lebanon and Liberty April 1-8. Expedition to McMinnville April 20-30. Occupation of McMinnville April 22. Woodbury May 24. Liberty June 4. Middle Tennessee or Tullahoma Campaign June 23-July 7. Bay Spring Branch June 24. Hoover's Gap June 24-26. Occupation of Manchester June 27. Raid on Bragg's communications June 28-30. Dechard June 29. Raid to Lynchburg July 16-17. At Dechard July 27-August 16. Passage of the Cumberland Mountains and Tennessee River and Chickamauga (Ga.) Campaign August 16-September 22. Sequatchie River August 19. Wild Cat Trace August 20. Friar's Island August 25 and September 9. 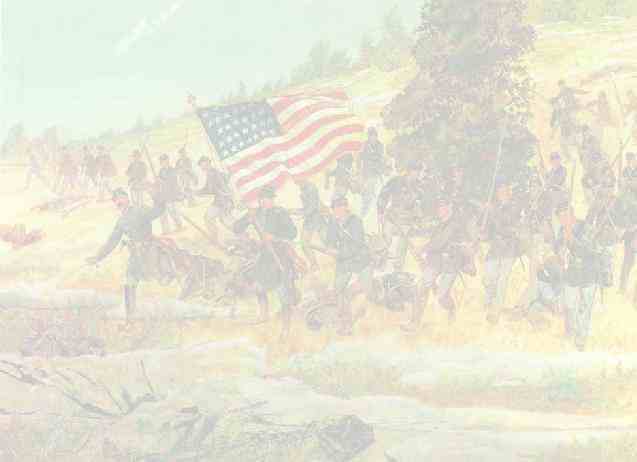 Capture of Chattanooga September 9. Lee and Gordon's Mills September 11. Ringgold September 11. Leet's Tan Yard September 12-13. Pea Vine Bridge and Alexander's Bridge September 17. Reed's Bridge and Dyer's Bridge September 18. Battle of Chickamauga September 19-21. Operations against Wheeler and Roddy September 29-October 17. Thompson's Cove, Cumberland Mountains, October 3. Murfreesboro Road, near McMinnville, and McMinnville October 4. Sims' Farm, near Shelbyville, and Farmington October 7. Shelbyville Pike October 7. Expedition from Maysville to Whitesburg and Decatur November 14-17. Moved from Pulaski to Colliersville, Tenn., December 31, 1862-January 14, 1864. Shoal Creek, Ala., January 24 (Detachment). Florence January 24. Athens January 25 (Detachment). Smith's Expedition from Colliersville to Okolona, Miss., February 10-26. Raiford's Plantation near Byhalia February 10. Ivey's Hill near Okolona February 22. Moved to Mooresville March 5-26, thence to Columbia April 3-8. March to Lafayette, Ga., April 30-May 9. Atlanta Campaign May to September, 1864. Battle of Resaca May 14-15. Near Dallas May 24. About Dallas May 25-June 5. Big Shanty June 9. Operations about Marietta and against Kenesaw Mountain June 10-July 2. Noonday Creek and Powder Springs June 19-20. Assault on Kenesaw June 27. On line of Nickajack Creek July 2-5. Rottenwood Creek June 4. Chattahoochie River July 5-17. Garrard's Raid to Covington July 22-24. Garrard's Raid to South River July 27-31. Flat Rock July 28. Siege of Atlanta August 1-25. Operations at Chattahoochie River Bridge August 26-September 2. Operations in Northern Georgia and North Alabama against Hood September 29-November 3. Skirmishes near Lost Mountain October 4-7. New Hope Church October 5. Dallas October 7. Near Rome October 10-11. Narrows October 11. Coosaville Road near Rome October 12-13. Near Summerville October 18. Blue Pond and Little River, Ala., October 21. King's Hill October 23. Ladiga, Terrapin Creek, October 28. Dismounted November 1, and ordered to Nashville, thence to Louisville, Ky., and duty there until December 28. March to Nashville, Tenn., December 28, 1864, to January 8, 1865, thence to Gravelly Springs, Ala.. and duty there until March, 1865. Wilson's Raid from Chickasaw. Ala., to Macon, Ga., March 22-April 24. Plantersville and near Randolph April 1. Selma April 2. Montgomery April 12. Columbia April 16. Capture of Macon April 20. Pursuit of Jeff Davis May 6-10. Moved to Nashville, Tenn., May 23-June 15. Mustered out June 26, 1865. Regiment lost during service 2 Officers and 26 Enlisted men killed and mortally wounded and 2 Officers and 130 Enlisted men by disease. Total 160.